At Sanjos, they love what they do.Yes, they really do! They love creating and continually innovating. They’re pretty strict on themselves too, the three core fundamentals of all their food creations are: must be delicious; must be great value for money for you and must be health consciously diverse with awesome options for everyone to enjoy. They believe in power of the people – they listen to you and what you like, because when it comes down to it you’re not just their customer, you’re their friend. At Sanjos they like to shop local, support local and help local. 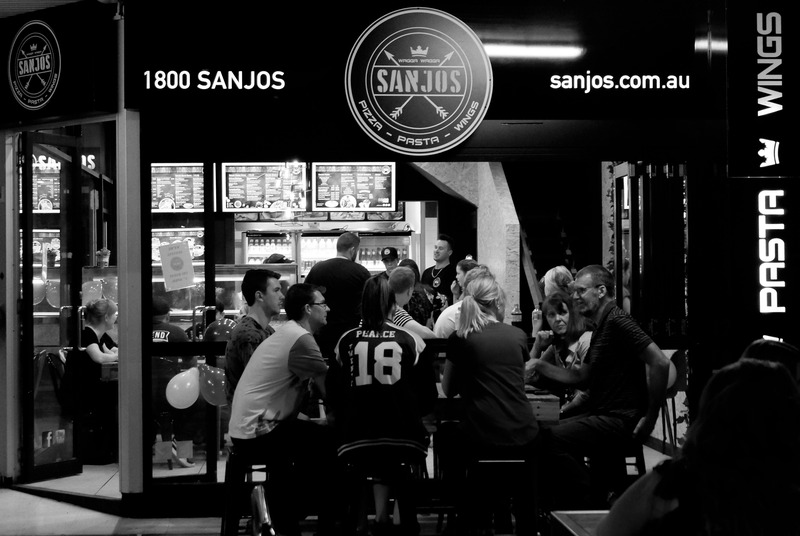 Their community focus was what started the idea of their `Sanjos One Pizza At A Time.’ Through their partnership with Food Bank Australia, they’re helping to fight hunger in their own backyard. Every pizza you order, they donate a meal to an Australian in need.